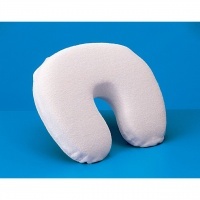 Pamper yourself to the comfort provided by a neck support. ObusForme Back Belt - Unisex - Medium-Large - Black - is ideal to prevent back injuries and to help mild low back pain, strains, or sprains. ObusForme Back Belt - Unisex - Small-Medium - Black - is ideal to prevent back injuries and to help mild low back pain, strains, or sprains. 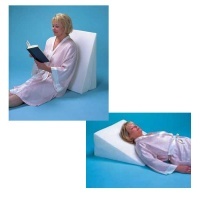 Measures 22" x 19" x 12"
Designed to support your neck, back, shoulders and head. Use as a bed wedge to elevate the head. Allows for easier breathing. Use vertically or horizontally. 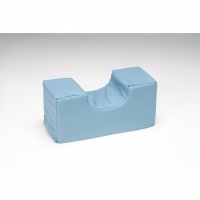 Egg crate design provides additional support and comfort. Made from polyurethane foam. Comes with a washable cover. Measures 22" x 19" x 12". 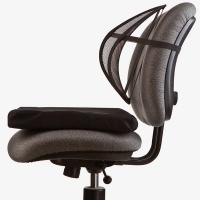 Ergonomic Mesh Back Support with Comfort Cushion - The Ergonomic Mesh Back Support with Comfort Cushion features a body-conforming ergonomic design that decreases back strain and pain for those with mobility challenges, making sitting more comfortable. 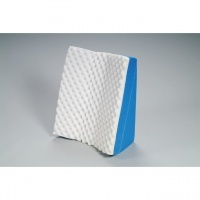 This back pain aid promotes core spinal stability and is recommended by chiropractors and physical therapists. Durable and lightweight for portability, it is adjustable to fit almost any chair/seat and is great for the home, office and car. Helps relieve problem breathing, poor circulation, etc. 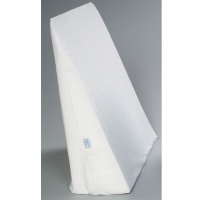 Home Spa Bath Pillow provides comfort and support for neck and back. NOTE: Hand wash with soap and water in between uses. Do NOT place pillow in dryer. 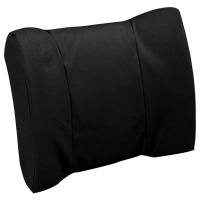 The Jobri Standard Flat-Back Lumbar Support is designed to support the curve of the lower back. 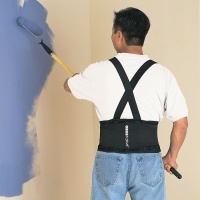 Contoured lumbar supports promote proper posture and help alleviate discomforts associated with sitting for long periods. Made with high density premium foam. 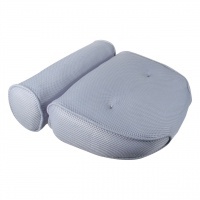 Measures: 12 H x 14 W x 4 D.
Comfortably sit, read and watch TV in bed with this uniquely designed bed rest cushion. The special sacro saver design features a firmly filled lumbar area to encourage proper posture, plus all-over back support. 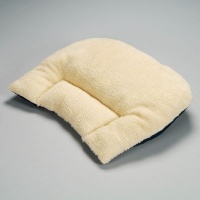 Made with breathable soft imitation sheepskin on one side and a navy blue polycotton on the other for reversible comfort. Size: 22" x 29".